field. But beware of Trojans bearing gifts. slay our enemies and bring home trophies so we may bask in the glory of victory. around the battlefield cheering for our team. Now priest-coach Tressel and hero-god Terrell Pryor are gone. What now for Ohio State? Where does one go after a public fiasco? It is becoming clear that our beloved Buckeyes, their coach, and the school aren’t as squeaky clean as we thought. So what happens now? the consequences will go a long way to regain respect. campus of guilty and unsavory characters. Start with a clean slate. pockets and their own image at the same time. dollar industry and the athlete is the only one not reaping a financial reward. athletes for just showing up or signing autographs. to lead the way for reform—once it has had time to lick its wounds. 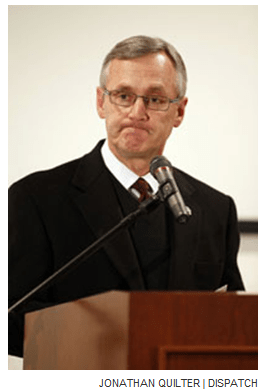 WHAT HAVE YOU DONE, JIM TRESSEL? One of the last untarnished icons of truth, justice, and the American way just received a black eye. The man who preaches morality, character building, and “do the right thing” is guilty of one of the worst sins—lying. Today, we learn that the squeaky clean, all American boy who grew up to become a revered football coach of one of America’s premier football programs, The Ohio State University, is just human. He is no longer the god on a pedestal but has fallen off that pedestal with a loud thud. People everywhere are condemning him for what he did and the talk shows are crucifying him. It has brought shame on the university and its outstanding (and prosperous) football program. The penalties will be harsh, as they should be. What did he do? He lied to the NCAA and covered up a problem involving six of his players. He explained his concerns, fears, doubts, and confusion at Tuesday night’s press conference; however some aren’t buying his explanations. The simple plain truth is Coach Tressel lied. That is it in black and white. But, we all know that life isn’t just black and white, it is shades of gray and a myriad of colors in between. Before I go any farther let me say I am not defending Tressel and I did not go to Ohio State. I have lived in this town for many years and joined others in cheering the team on to victory over those years but that is as far as it goes. However, I think I have a unique perspective of this situation—one not shared by other “experts” discussing this event. 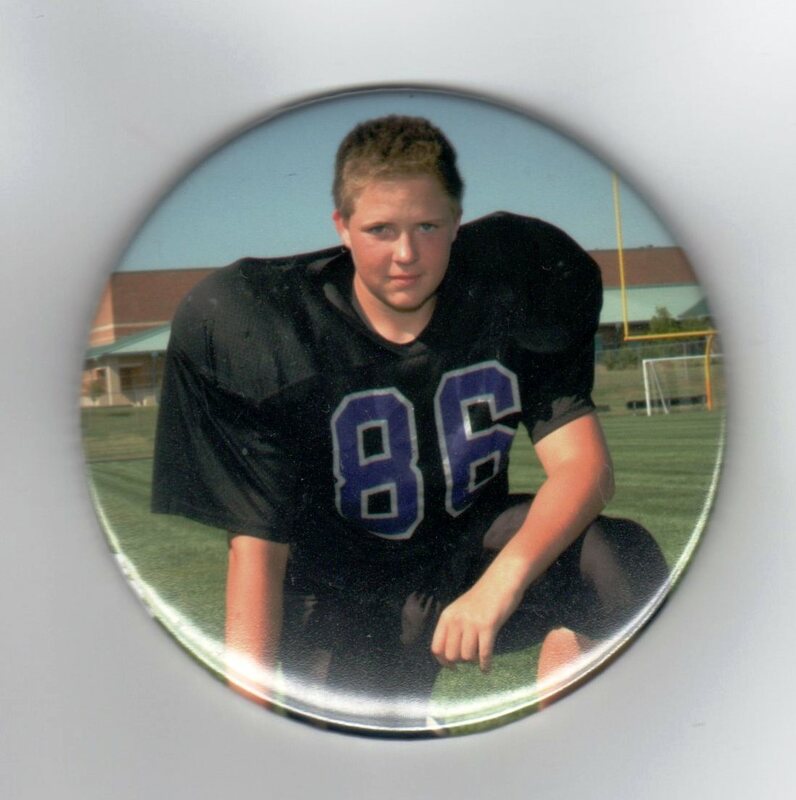 I married a former football player and coach late in life. Something I have observed when we meet a player or coach is the instant bond they all share. It is an exclusive private world in which they share combat and the joy of victories and pains of defeat. It is a universal family of athletes, more exclusive and prestigious than any fraternity. They recognize the drive and need for excellence in each other and close ranks if an outsider threatens one of their own. This seems to be true of all players and the instincts are intensified if that threat is to one of the members of their own team. I have heard former OSU players talk about Buckeye Nation and how they are proud to be part of this family and they would do anything for one of their players. This belonging is what drew Chris Spielman to visit Art Schlichter in prison. He discussed this on his show recently, and said he hadn’t planned to go but a Buckeye was in trouble, and he felt the need to go see him to give him support. Another overlooked factor in this situation is the culture of sports today. Everyone likes to win and the adoring public is in love with the athlete who can create the wins. This goes as far back as the Greeks and their Olympians. They were special and idolized people. Today, instead of crowning our athletes with a simple crown of laurel leaves, we push cars, bling, money and other forbidden objects their way. Troy Smith (former Ohio State quarterback) got in trouble when a booster shook his hand and left $500 in his palm. This is too much temptation for a young college student. And, let us not forget that these are young people—not accomplished adult pro athletes. Many of them are still teenagers trying to find their way in a big, crazy, and tempting world and they don’t always make the best choices. College athletes of any school are constantly being given special perks whether it is free pizzas or fast cars. Some outstanding athletes grow up being pampered their whole lives and begin to expect it. This is not right but it is a fact of today’s life. Finally, let us look at why the school is in so much hot water in the first place. It is because a few football players sold team memorabilia they thought was theirs and did not know they could not sell. What is confusing is once they are out of school then they can do what they want with the items but, as long as they are in school, then it is not really theirs to do as they please. So it is theirs but it isn’t. Compounding the problem, some players sold the items for extra cash thinking they could help their families. The ones who traded the items for tattoos were just stupid but the ones who were in real need illustrate another problem with student athletes. The scholarships are great but they don’t cover everything. According to the NCAA rules, others can not help the struggling athlete. However, the ones from more affluent families don’t need to worry if they need extra cash to fill the gas tank, buy a pair of jeans, or go on a date. Just ask Mom and Dad. Because all their extra time is spent in the weight room or on the practice field, even in the summer, they can’t hold jobs so how will they get extra spending money? My husband did not come from a money background and if it had not been for a generous aunt who sent him money and bus tickets, he would have been stuck on campus his whole time. The outrageous aspect of this is the vast amounts of money the athletes are bringing to the university, the athletic department, and to the town. College athletics, especially the money sports such as football and basketball, are no longer just sport but big business. Everyone is making money on the backs of the poor student athletes. It is a shame that an athlete can’t sell his jersey for even a few dollars when he can look into the stands and see a population of 100,000 people with half of them wearing a jersey with his number on it. Where is the justice in this? Yes, what Jim Tressel did was awful. He got caught up in the culture of big sports with big problems and big pressures. I’m sure it started out with the need to protect one of his own from outside wolves, but it snowballed until it became a cover up, a lie, and one huge fiasco. I see some positives in this whole ugly affair. One look at the coach’s eyes and it is clear he was remorseful and feeling great pain. It is rumored he even tried to resign. This is in contrast to so many today who never admit wrong and make a mockery of the system they perceive has done them wrong. Coach Tressel said he learned he should have gone to compliance and legal departments to discuss this further, taking the burden off his shoulders. Another positive is it brings to light the poverty of some student athletes and the vast temptations available to them. Also, it shows that the athletic department is not just for sports but it is big business. Many people view college football and basketball as farm teams for the pros, maybe it is time we acknowledge this for what it is and redesign the system to benefit both the business side and team sports. It is time the NCAA addresses the needs of athletics in the 21st century and develops rules to protect the needs of the athlete and the integrity of the sports. Instead of banging the drums and demanding the heads of all involved, let us use that energy to make positive changes so similar situations won’t happen in the future. It is time for change.